For machinery access and maintenance. Stairs with a variable platform that can be adjusted into the most preferable angle and height. They are especially recommended for machinery work or maintenance at different heights. 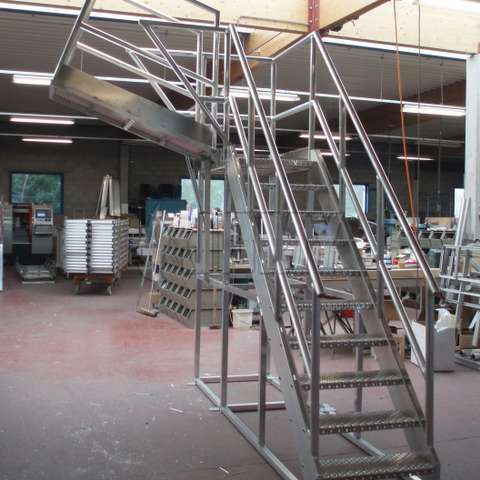 JOMY variable height stairs have a changeable platform for machinery access and maintenance. A fixed flight keeps its pinned position on the floor. A variable platform can be adjusted to the preferred angle. Stairs with variable heights are recommended for work or maintenance at heights like aircrafts and other machinery.